Crisp snowy mountain air, quaint Swiss chalets, hundreds of fluttering International flags and the chattering blue Kander river, it was like walking into another World. Everybody is talking about the magic of KISC. But what is it and how can you feel it? 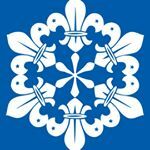 KISC: A once in a lifetime opportunity! Being a Malaysian Pinkie here at KISC has been a once in a lifetime opportunity that allowed me to step out of my comfort zone and really develop as a person.